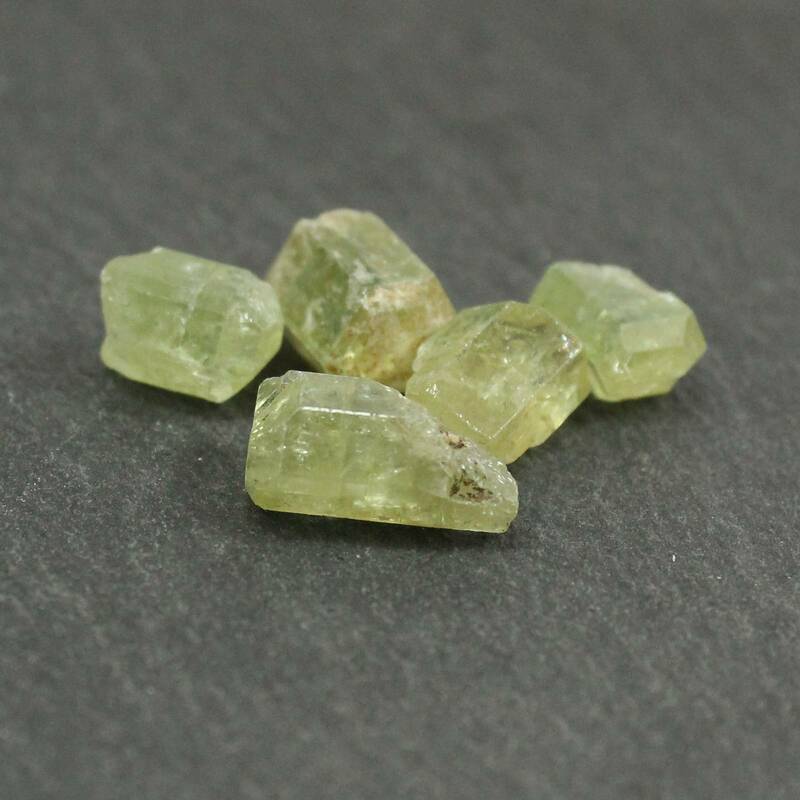 Gorgeous little pieces of green Apatite – incredibly pretty green specimens sold in two sizes. Gorgeous little specimens of green Apatite. 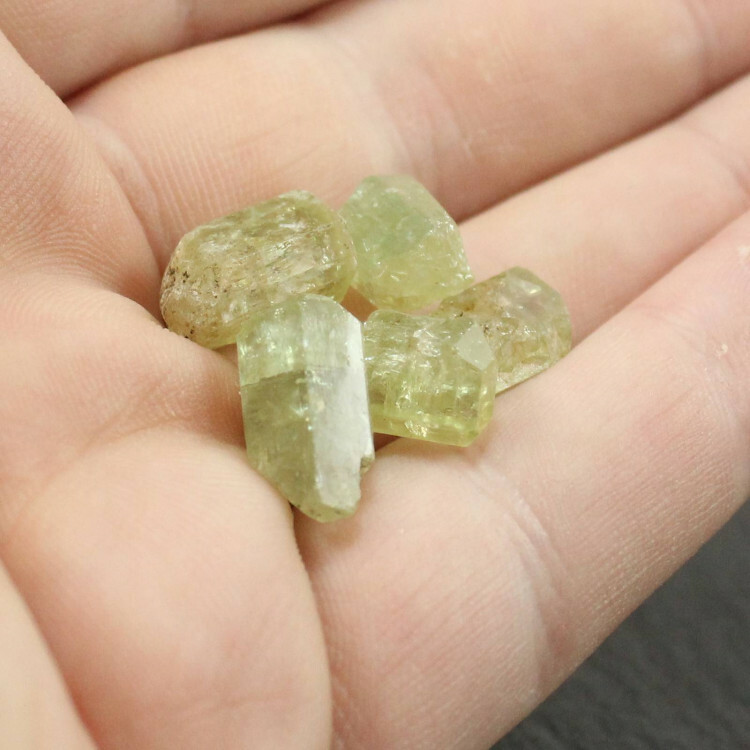 These pieces are a clear bright green colour. They have relatively few inclusions but will have some crackles, cracks, or internal clouding. Because these pieces are all natural specimens we can’t guarantee that, of course. 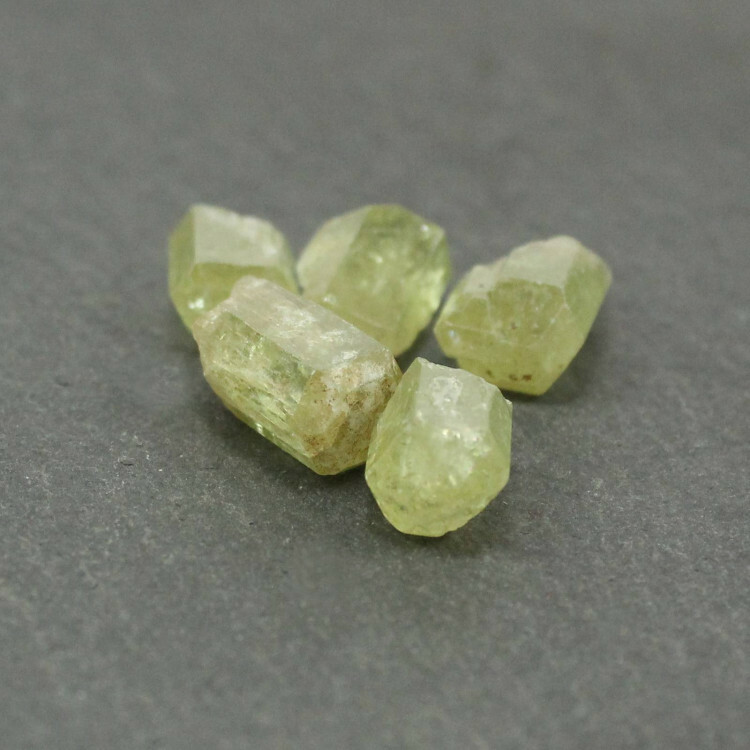 Certain pieces may be suitable for cutting small cabochons from, but this varies piece by piece. Typically, they come from Morocco, but occasionally they may be from elsewhere – it depends on the supply we can get.